This is the all black aircraft grade aluminum cane redesigned and improved in both functionality and aesthetics! The Raven comes in at 38 inches (including tip) and 1/2 pound lighter than its’ predecessor for maximum speed without sacrificing impact. The two sets of grips have been strategically placed on the sides for functionality and redesigned with non abrasive carvings for improved maneuverability and handling. The horn features a slightly sharper angled beak for a quicker release response while still maintaining its’ innocuous look. The new Raven is also powder coated to minimize chipping and scarring. 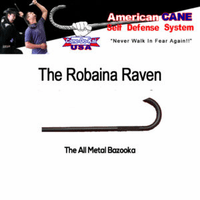 Overall, the new and improved Robaina Self Defense Cane Raven gives you an attractive all black metal cane that is a formidable impact tool for self defense…without calling attention to itself. 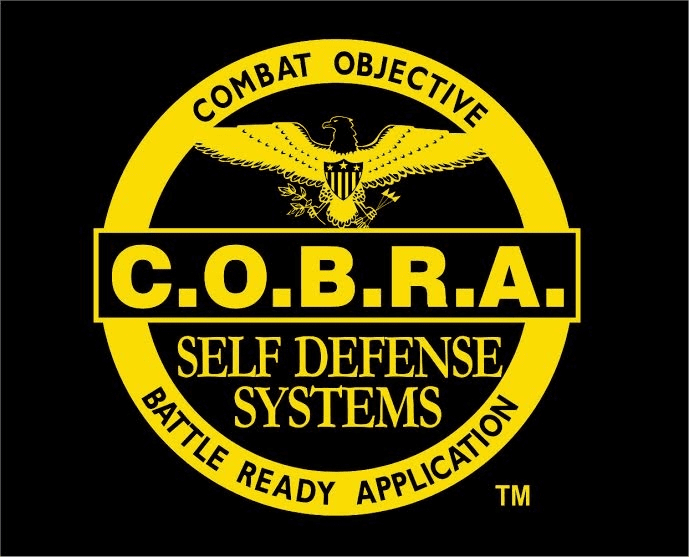 When checking out you can select the Raven can or the "5 to Survive training video" only. Or you can add the "5 to survive" along with the Raven Cane and a getting started quick video to it as well for the full package.